In accordance with the CSA rescheduling provisions, after gathering the necessary data, the DEA requested a scientific and medical evaluation and scheduling recommendation from the Department of Health and Human Services (HHS). 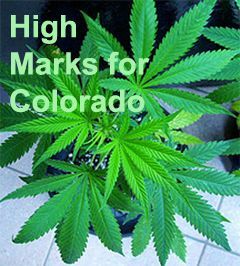 The HHS concluded that marijuana has a high potential for abuse, has no accepted medical use in the United States, and lacks an acceptable level of safety for use even under medical supervision. Therefore, the HHS recommended that marijuana remain in Schedule I....Based on the HHS evaluation and all other relevant data, the DEA has concluded that there is no substantial evidence that marijuana should be removed from Schedule I. The DEA is locked in the stone age and as a result, marijuana will remain in the same schedule with controlled substances like heroin. The DEA says because of public interest in the topic, it is publishing all of its findings. The 186 page document, which will be published in the Federal Register, is available here. The Colorado Supreme Court yesterday ruled employers can fire workers who use marijuana outside of the workplace. The opinion in Coats v. Dish Network is here. The supreme court holds that under the plain language of section 24-34-402.5, 13 C.R.S. (2014), Colorado’s “lawful activities statute,” the term “lawful” refers only to those activities that are lawful under both state and federal law. 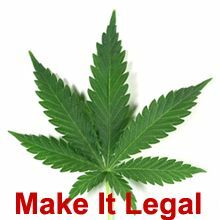 Therefore, employees who engage in an activity such as medical marijuana use that is permitted by state law 16 but unlawful under federal law are not protected by the statute. We therefore affirm the court of appeals’ opinion. Welcome to Colorado. CNN's new series High Profits airs its first episode tonight. It's about the burgeoning marijuana industry, and tonight's episode is in Colorado. 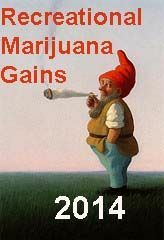 In November, Alaska voters voted to legalize the personal use and possession of small amounts of marijuana. The law went into effect today. Alaska's new law, passed by voters in 2014, means people over age 21 can legally consume small amounts of pot, but individuals are not allowed to sell it or buy it. 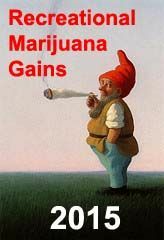 They are allowed to grow up to six plants and possess up to an ounce of weed. Smoking in public is not allowed. 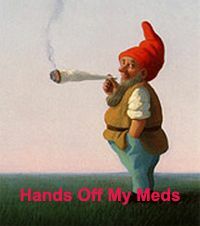 Thanks to the passing of a little known amendmment inserted via amendment into the omnibus spending bill by by sponsors Rep. Dana Rorsbacher and Samm Farr, the DEA will be unable to conduct medical marijuana raids in states that allow medical pot. That's 32 states plus the District of Columbia. Oregon and Alaska have become the third and fourth states to legalize the personal use of marijuana for recreational purposes. 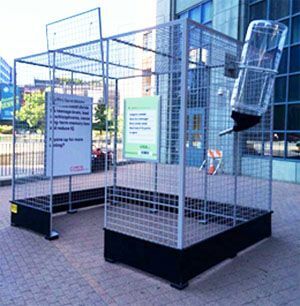 In the District of Columbia, residents will face no legal repercussions for growing marijuana for personal use. On tap for 2016: Legalization initiatives are planned for California, Massachusetts, Maine, Nevada and Arizona. On the medical marijuana side, Guam approved it while Florida did not. Overall, legal marijuana advocates had a big night. The New York Times has taken a bold step. 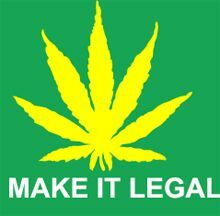 Its editorial board is calling for the legalization of marijuana -- Repeal Prohibition Again. It's time to free the weed. Hershey Chocolates has filed a federal trademark infringement lawsuit against TinctureBelle LLC and TinctureBelle Marijuanka LLC, a Colorado company that makes marijuana-infused candy. Massachusetts enacted a medical marijuana law in 2012. Recently, shortly after the first licenses were approved, the DEA began visiting MA physicians associated with medical marijuana dispensaries and giving them a choice: Give up your DEA license to prescribe most medications, or give up your association with dispensaries. The stark choice is necessary, the doctors said they were told, because of friction between federal law, which bans any use of marijuana, and state law, which voters changed in 2012 to allow medical use of the drug. The DEA’s action has left some doctors, whose livelihoods depend on being able to offer patients pain medications and other drugs, with little option but to resign from the marijuana companies,where some held prominent positions. 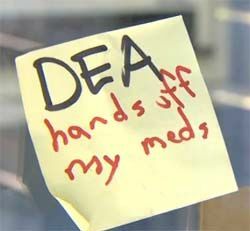 The DEA gets progressively more out of step with the Department of Justice, Congress and state legislatures every day. Its budget is bloated and it desperately needs new leadership. DEA Director Michelle Leonhart, who presumably approves tactics such as these, should be asked to resign and a more enlightened director should be appointed to take her place. You can sign a Change.Org petition to remove her here. Texas teen Jacob Lovaro was caught with 1.5 pounds of baked hash brownies and cookies, plus a pound of marijuana and $1,645. in his apartment. 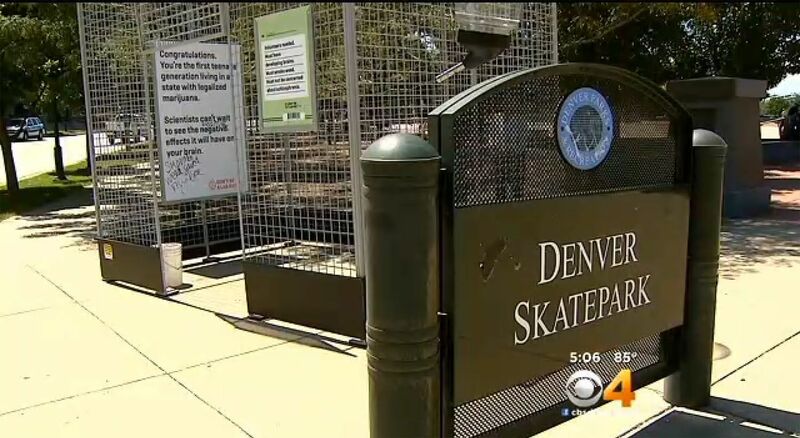 He's facing a potential life sentence because the he used hash oil instead of pot. 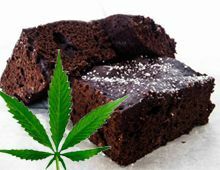 In Texas, the quantity of drugs used for sentencing purposes in cases involving hash oil includes the weight of the brownies, not just the hash oil. “I have to hire a great work force to compete with those cyber criminals and some of those kids want to smoke weed on the way to the interview,” Mr. Comey said. One conference goer asked Mr. Comey about a friend who had shied away from applying because of the policy. “He should go ahead and apply,” despite the marijuana use, Mr. Comey said. It's that time of year again, when the House Appropriations Committee considers the annual DOJ budget. In the next several days, an amendment will be offered defunding medical marijuana raids in states with laws permitting use of medical marijuana. 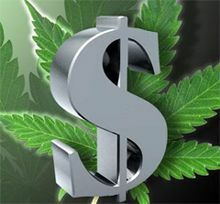 Representatives Rohrabacher and Farr will be introducing an amendment to this measure to prevent any of the department’s funding from being used to interfere with medical marijuana programs in states that have approved them. The amendment would prevent the Department of Justice from using taxpayer funds to interfere in state-sanctioned medical marijuana programs.